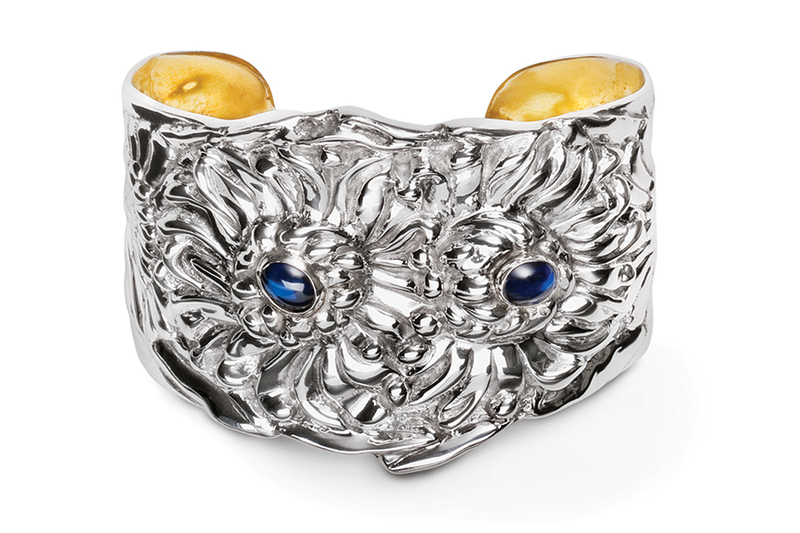 The Chrysanthemum Cuff with Sapphires is richly detailed, exquisitely shaped, and tapered at the wrist. This piece exudes the best of taste and commands attention with two cabochon sapphires as the flower centers. As appropriate with a cocktail dress as it is with denim, you will find this bracelet works with everything in your wardrobe.